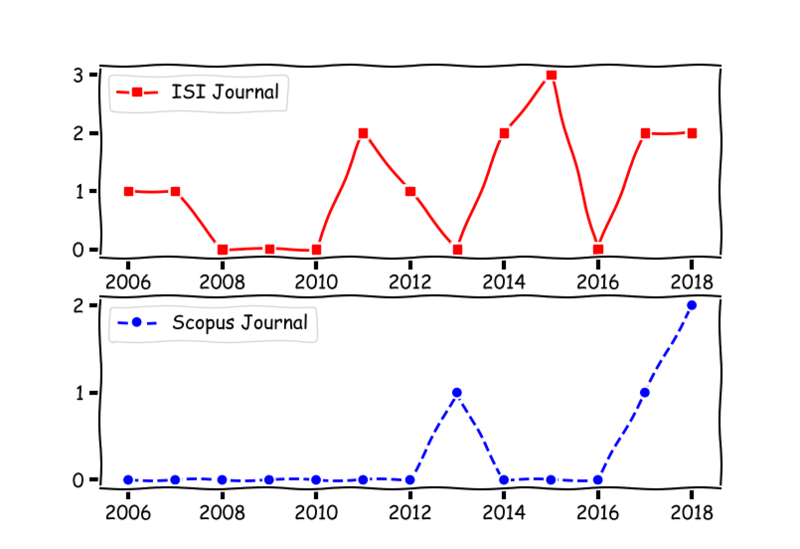 As for 10 January 2019, I have published 19 journals (15-ISI, 4-SCOPUS) and 27 conference proceedings. ISI :Shazeeda Shazeeda and Bakhtiar Affendi Rosdi, “Finger Vein recognition using Mutual Sparse Representation Classification,” in IET Biometrics, vol. 8, no. 1, pp. 49-58, 1 2019. ISI :Tze Sin Tan and Bakhtiar Affendi Rosdi, “Hardware-assisted Verilog simulation system using an application specific microprocessor,” in Integration, Vol. 62, pp. 76-91, 2018. Scopus :Nordiana Mukahar and Bakhtiar Affendi Rosdi, “Performance Evaluation of User Independent Score Normalization Based Quadratic Function in Multimodal Biometric,” in International Journal of Integrated Engineering, Vol. 10(1), pp. 66-73, 2018. Scopus : Jamaludin, W.S.W., Ren, T.W., Rosdi, B.A., Ishak, D., Hanafi, N.H., Mahyuddin, M.N., “Adopting hardware-in-the-loop for testing vehicle instrument panel using economical approach,” in Indonesian Journal of Electrical Engineering and Computer Science, Vol 10(1), pp. 50-58, 2018. 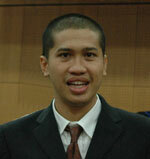 ISI : M. S. Mohd Asaari, S. A. Suandi and B. A. Rosdi, “Geometric feature extraction by FTAs for finger-based biometrics system,” in IET Biometrics, vol. 6, no. 3, pp. 157-164, 5 2017. ISI : Chong Han Lim, Bakhtiar Affendi bin Rosdi, Chee Fai Yap. “Synchronization of multiple USB 3.0 devices using Isochronous Timestamp Packet“. Computer Standards & Interfaces, Volume 49, January 2017: 22-33. Scopus : Yakno, M., Mohamad-Saleh, J., Rosdi, B.A. “Grayscale and binary enhancement of dorsal hand vein images,” in International Journal of Circuits, Systems and Signal Processing, Vol. 11, pp. 129-141, 2017. ISI : Yong Tat Tan, Bakhtiar Affendi Rosdi. “FPGA-based hardware accelerator for the prediction of protein secondary class via fuzzy K-nearest neighbors with Lempel–Ziv complexity based distance measure”. Neurocomputing. Volume 148, 19 January 2015: 409-419. ISI : Xin Yi Ng, Bakhtiar Affendi Rosdi, and Shahriza Shahrudin. “Prediction of Antimicrobial Peptides Based on Sequence Alignment and Support Vector Machine-Pairwise Algorithm Utilizing LZ-Complexity“. BioMed Research International, Article ID 212715, 2015. ISI : Mohd Shahrimie Mohd Asaari, Bakhtiar Affendi Rosdi, Shahrel A Suandi. “Adaptive Kalman Filter Incorporated Eigenhand (AKFIE) for real-time hand tracking system”. Multimedia Tools and Applications. 2015: 9231-9257. ISI : Tze Sin Tan, Bakhtiar Affendi Rosdi. “Verilog HDL Simulator Technology: A Survey”. Journal of Electronic Testing. 2014; 30(3): 255-269. ISI : Mohd Shahrimie Mohd Asaari, Shahrel A Suandi, Bakhtiar Affendi Rosdi. “Fusion of Band Limited Phase Only Correlation and Width Centroid Contour Distance for finger based biometrics”. Expert Systems with Applications. 2014; 41(7): 3367-3382. SCOPUS : Ali Khalili Mobarakeh, Sayedmehran Mirsafaie Rizi, Saba Nazari, Jiang Ping Gou, Bakhtiar Affendi Rosdi. “Finger Vein Recognition Using Local Mean Based K-Nearest Centroid Neighbor Classifier”. Advanced Materials Research. 2013; 628: 427-432. ISI : Mohd Shahrimie Mohd Asaari, Bakhtiar Affendi Rosdi and Shahrel Azmin Suandi. “Intelligent Biometric Group Hand Tracking (IBGHT) database for visual hand tracking research and development”. Multimedia Tools and Applications. 2012: 1-30. ISI :Rosdi B.A., Shing C.W., Suandi S.A. Finger Vein Recognition Using Local Line Binary Pattern. Sensors. 2011; 11(12):11357-11371. ISI : Marlina Yakno, Junita Mohamad-Saleh and Bakhtiar Affendi Rosdi. “Impulse noise detector for vein images based on feed-forward neural network“, Opt. Eng. 50, 093202 (Sep 14, 2011). ISI : Bakhtiar Affendi Rosdi, Atsushi Takahashi. “Low Area Pipelined Circuits by the Replacement of Registers with Delay Elements“. IEICE Trans. Fundamentals, Vol.E90-A, No.12, pp.2736-2742, 2007. ISI : Bakhtiar Affendi Rosdi, Atsushi Takahashi. “Multi-clock Cycle Paths and Clock Scheduling for Reducing the Area of Pipelined Circuits“. IEICE Trans. Fundamentals, Vol.E89-A, No.12, pp.3435-3442, 2006. WJ Zhong, NM Noh, BA Rosdi. “Clock gating assertion check: an approach towards achieving faster verification closure on clock gating functionality“. in Quality Electronic Design (ASQED), 2015 6th Asia Symposium on, pages 94-101, August 2015. M Yakno, J Mohamad-Saleh, BA Rosdi. “New technique for larger ROI extraction of hand vein images“. in BioSignal Analysis, Processing and Systems (ICBAPS), 2015 International Conference on, pages 82-87, May 2015. BA Rosdi, H Jaafar, DA Ramli. “Finger vein identification using fuzzy-based k-nearest centroid neighbor classifier“. in AIP Conference Proceedings, pages 649-654, Feb. 2015. TS Tan, BA Rosdi. “A Verilog Compiler Proposal for VerCPU Simulator“. in Proceedings of the 19th Workshop on Synthesis and System Integration of Mixed Information Technologies (SASIMI), pages 244-249, Jan. 2015. H Jaafar, DA Ramli, BA Rosdi. “Comparative study on different classifiers for frog identification system based on bioacoustic signal analysis“. in Proceedings of the 2014 International Conference on Communications, Signal Processing and Computers, 2014. Haryati Jaafar, Dzati Athiar Ramli, Bakhtiar Affendi Rosdi, Shahriza Shahrudin. “Frog Identification System Based on Local Means K-Nearest Neighbors with Fuzzy Distance Weighting“. in Proceedings of The 8th International Conference on Robotic, Vision, Signal Processing & Power Applications (ROVISP2013), pages 153-159, Nov 2013. Mohd Shahrimie Mohd Asaari, Bakhtiar Affendi Rosdi. “A Single Finger Geometry Recognition Based On Widths And Fingertip Angles (WFTA)“. in Proceedings of The IAPR International Conference on Machine Vision Applications (MVA2013), pages 256-259, May 2013. Sepehr Damavandinejadmonfared, Ali Khalili Mobarakeh, Shahrel Azmin Suandi, Bakhtiar Affendi Rosdi. “Evaluate and Determine the Most Appropriate Method to Identify Finger Vein“. in Proceedings of The International Symposium on Robotics and Intelligent Sensors 2012 (IRIS 2012), pages 516-521, Dec 2012. Tan Chee Wei, Bakhtiar Affendi Rosdi. “FPGA based band-limited phase-only correlation (BLPOC) for finger vein recognition system“. in Proceedings of The 4th International Conference on Intelligent and Advanced Systems (ICIAS), pages 729-734, Jun 2012. Wuh Shing Chai, Bakhtiar Affendi Rosdi, Shahrel Azmin Suandi. “Face recognition using improved local line binary pattern“. in Proceedings of The Fourth International Conference on Digital Image Processing (ICDIP 2012), pages 833445, May 2012. Teoh Saw Beng, Bakhtiar Affendi Rosdi. “Finger-vein identification using pattern map and principal component analysis“. in Proceedings of The IEEE International Conference on Signal and Image Processing Applications (ICSIPA), pages 530-534, November 2011. Marlina Yakno, J Mohamad Saleh, Bakhtiar Affendi Rosdi. “Low contrast hand vein image enhancement“. in Proceedings of The IEEE International Conference on Signal and Image Processing Applications (ICSIPA), pages 390-392, November 2011. KM War, BA Rosdi, CE Wee. “CAD automation module based on cell moving algorithm for ECO timing optimization“. in Industrial Electronics and Applications (ISIEA), 2011 IEEE Symposium on, pages 284-288, September 2011. LY Siang, BA Rosdi, TE Keong, TC Forng, CLS Xying. “An automated clock distribution topology in SoC designs“. in Industrial Electronics and Applications (ISIEA), 2011 IEEE Symposium on, pages 454-458, September 2011. LY Mei, BA Rosdi, LC Kok. “A methodology for automation structured datapath placement In VLSI design“. in Industrial Electronics and Applications (ISIEA), 2011 IEEE Symposium on, pages 273-278, September 2011. LS Ang, BA Rosdi, KT Tee. “Cone extraction technique for incremental static timing analysis“. in Industrial Electronics and Applications (ISIEA), 2011 IEEE Symposium on, pages 267-272, September 2011. Nurhafizah Mahri, Shahrel Azmin Suandi, Bakhtiar Affendi Rosdi. “Finger Vein Recognition Using Phase Only Correlation“. Emerging Techniques and Challenges for Hand-Based Biometrics (ETCHB) 2010, pages 1-6, August 2010. Bakhtiar Affendi Rosdi, Atsushi Takahashi. “Delay Balancing by Min-Cut Algorithm for Reducing the Area of Pipelined Circuits“. in Proceedings of The 20th Workshop on Circuits and Systems in Karuizawa, pp.643-648, 2007. Bakhtiar Affendi Rosdi, Atsushi Takahashi. “Replacement of Register with Delay Element for Reducing the Area of Pipelined Circuits“. In Proc. the 2006 IEEE Asia-Pacific Conference on Circuits and Systems (APCCAS 2006), pp.802-805, December 4-7, 2006. Bakhtiar Affendi Rosdi, Atsushi Takahashi. “Low Area Pipelined Circuits by Multi-clock Cycle Path and Clock Scheduling“. In Proc. Asia and South Pacific Design Automation Conference 2006 (ASP-DAC 2006), pp.260-265, January 25, 2006. Bakhtiar Affendi Rosdi, Atsushi Takahashi. “An Algorithm to Calculate the Minimum Clock Period of a Semi-synchronous Circuit that Contains Multi-clock Cycle Path“. IEICE Technical Report (VLD2005-8), Vol. 105, No. 58, pp.13-18, 2005. B. A. Rosdi, A. Takahashi. “Reduction on the Usage of Intermediate Registers for Pipelined Circuits“. In Proc. the 12th Workshop on Synthesis and System Integration of Mixed Information Technologies (SASIMI 2004), pp.333-338, October 18-19, 2004.